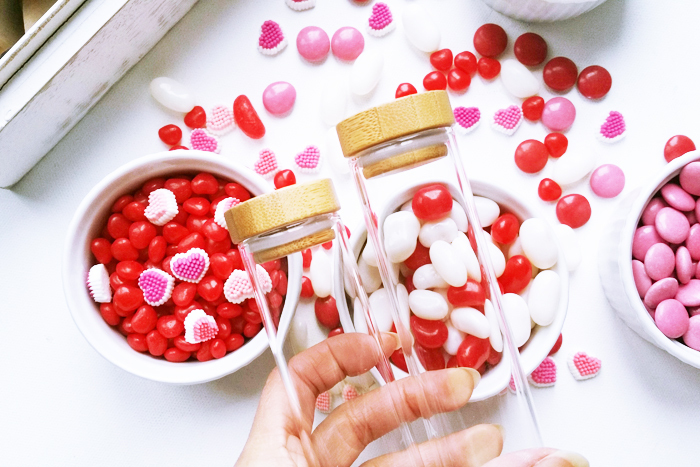 Valentine’s Day is coming up and it’s by far one of my favourite times of the year to cook up some simple DIYs! I’m looking forward to surprising friends with sweets and treats to tell them just how much I love them! 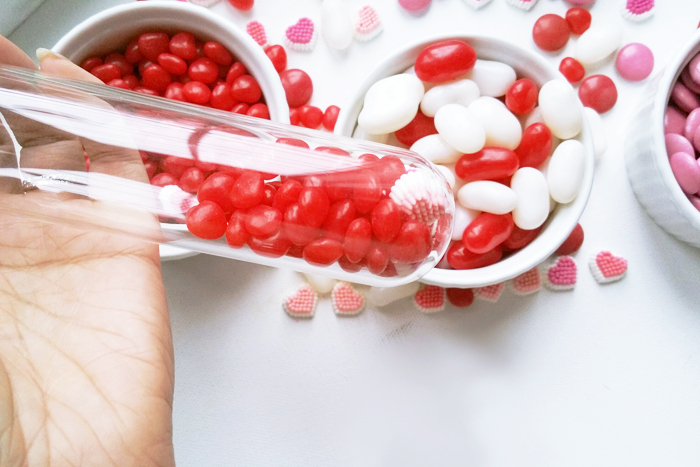 During a stroll through IKEA a couple weeks back, I spotted these RIMFORSA test tubes (comes as a set of 4) and thought they would make the perfect containers for the bags of red and pink candies I picked up at the store. I am such a sucker for IKEA products and absolutely love a good IKEA hack (see my last IKEA hack and what I posted on Instagram). Their items are inexpensive in nature and I can always find a multi-purpose for them. 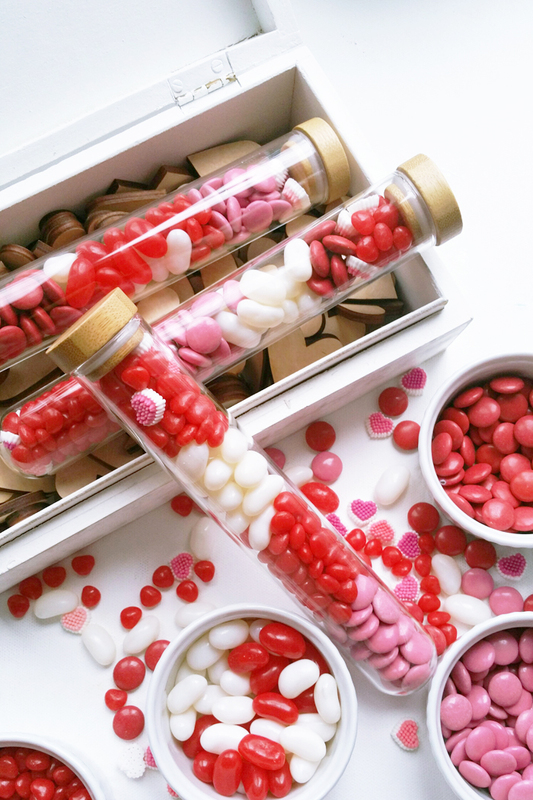 These glass casings are a great option as elevated Valentines or party favors! 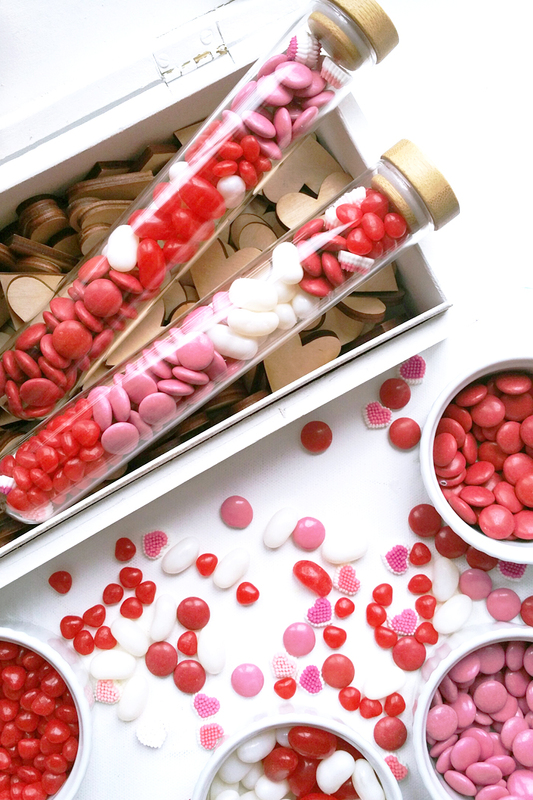 Read further to see how you can assemble your own Valentines Test Tube Candy Gifts. These are super cute and just makes my heart sing. Arrange several in a gift box for more impact, and I’m sure you’ll make someone very happy! 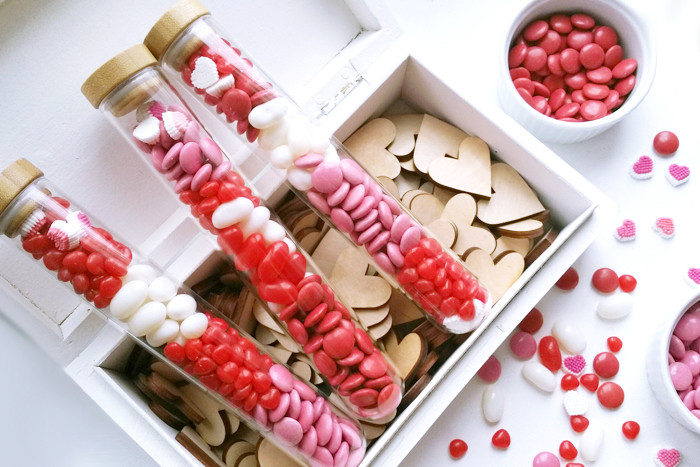 Have a wonderful day and more Valentine’s DIYs coming your way! These are so cute! I don’t have an Ikea close by, but I like the idea. 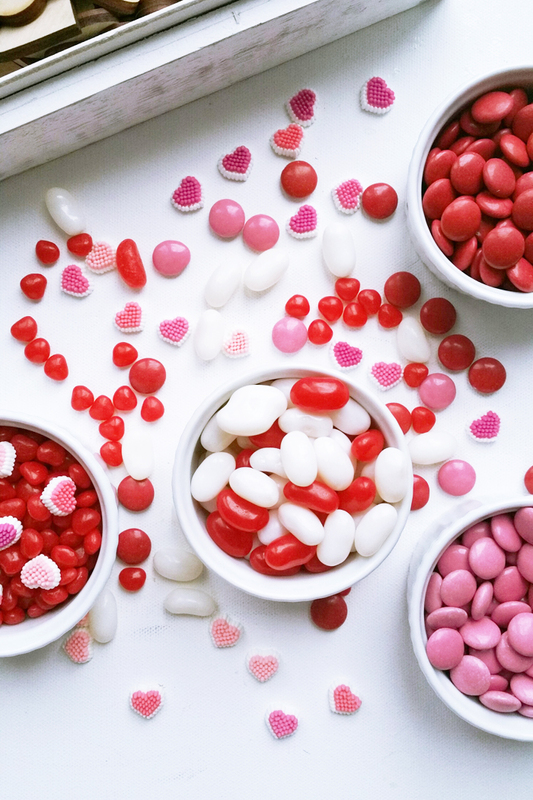 These colorful candies are so much beautiful. Makes the gift more beautiful.